Located in Grand Paris in France, the “Course of Excellence in Oncology – Fondation Philanthropia” is a 3-year course offering made-to-measure training each year to 2 doctors, pharmacists or engineers who hold a Masters 2 degree (or equivalent) in Biology. You will obtain your doctorate in 3 years in a major field of research in oncology. 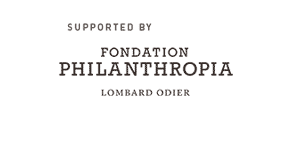 The “Course of Excellence in Oncology – Fondation Philanthropia” was established with the support of the Fondation Philanthropia within the École des Sciences du Cancer (University Paris-Sud / Gustave Roussy). Its objective is to recruit each year 2 top-level graduates, who are inspired to perform translational research leading to a doctorate after 3 years. Do these subjects excite you? Our 7th consecutive year will start on february 2019: apply now! As a doctoral student, you will work towards your PhD on the Gustave Roussy campus in Villejuif (Grand Paris – France), possibly in collaboration with another international centre of excellence. You will be supervised by the best clinicians and researchers, with a strong and inspiring team spirit. You will be paid over the three year period of your research contract at a rate of around 2,300 euros per month net, with health insurance included. 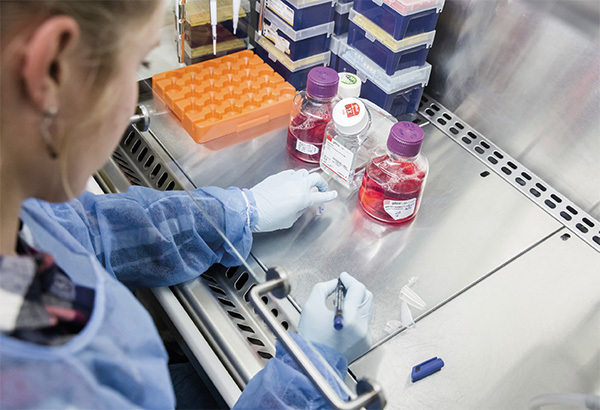 At Gustave Roussy, all the expertise necessary for the development of high-level research is in play. It is based on the principle of integration and incorporates fundamental, clinical and translational research. This continuum between research and patient care results in diagnostic and therapeutic advances and the effective transfer of research findings to the bedside. 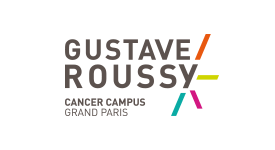 The molecular medicine (or personalised medicine) programme at Gustave Roussy was launched to employ analysis of tumour biomarkers and imaging to guide the use of novel therapeutic agents. Gustave Roussy has invested heavily in equipment in recent years, one example being the construction of a dedicated building for research in molecular medicine.